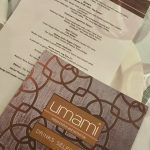 There were two main reasons why I was excited to be invited to celebrate the birthday of Umami Indian Kitchen recently. Firstly because I have heard great things about Umami Indian Kitchen, and secondly because I love Indian food. Like, I really do love it. 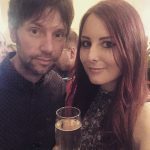 So when I arrived at the Harborne restaurant one sunny evening last week to celebrate its second year in business, I was hoping to sample a few of the tasty offerings I’d heard so much about – and I wasn’t disappointed. Located on the busy Lordswood Road in the centre of Harborne – an area I must confess I’m not very familiar with – Umami offers contemporary Indian dining and authentic cuisine which combines flavours from across the country with high quality locally sourced produce. Quite literally translated as ‘savoury taste’, Umami has built up a loyal following in its two years, and promises diners top-service and outstanding food, both of which I can now vouch for happily. The birthday event entitled The South Indian Food Festival invited guests from the local community for a drinks reception followed by a sit down meal. Arriving to an already bustling party, we were offered a flute of chilled fizz or a bottle of Cobra beer to enjoy in the bar area before the feeding frenzy ensued in the main restaurant. 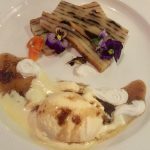 The staff were all incredibly enthusiastic and chatty, happily explaining more about the dining experience we were about to enjoy, as well as the story of Umami’s conception. Being seated alongside another couple in the restaurant (I’d taken my long suffering other half for a treat, bless him) we were given a menu detailing the South Indian inspired food we would be sharing, including a selection of savoury starters, a variety of mains and even some sweet treats. It was a bonus to discover we would also be doing some wine tasting alongside the feast; not something I had imagined happening during such an event. To start with a sharing platter of bite sized morsels arrived for each pair to dig into. Offering a fresh take on Indian starters, the long plate was piled high with delicious-looking bite sized tasters that offered much more aesthetically than your typical pakora, I can tell you. As our host explained what each of the platter elements were, I was almost salivating thanks to the aromas coming from the food. First up we tried the Tossed Mangalore Prawns: battered prawns tossed in cracked black pepper and curry leaves. The light batter was crisp and ensured the large prawns inside were kept moist and juicy, making for a truly delicious first bite that evening. 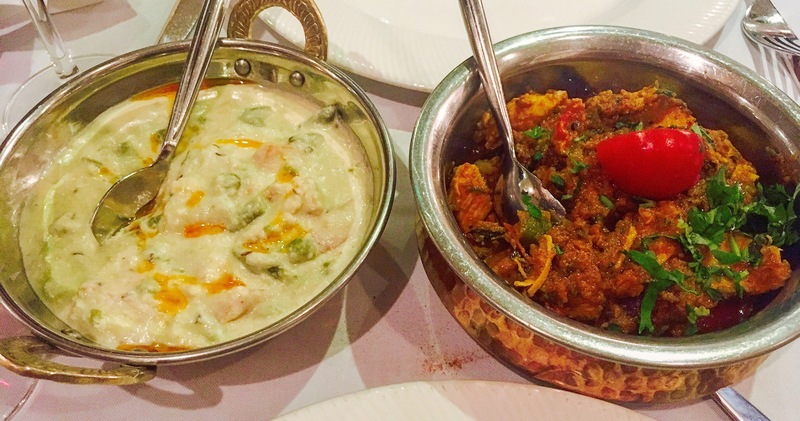 Next up we had the Chicken Sukha – fragrant pan-roasted mini chicken fillets – and finally the Salmon Pollichatu. 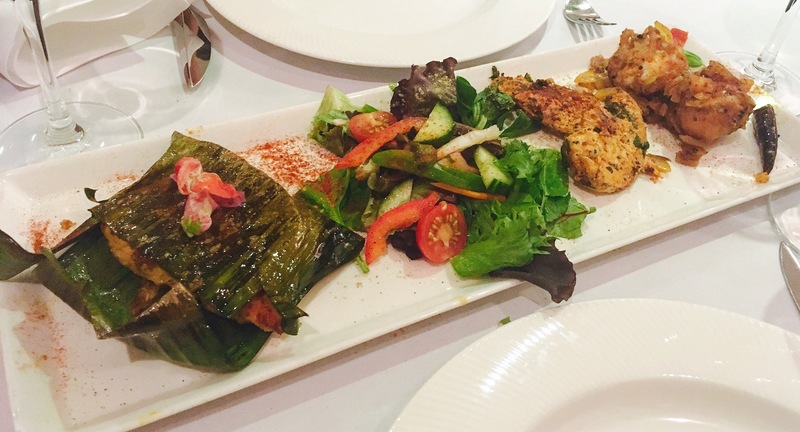 The masala spiced grilled salmon came wrapped in a banana leaf, offering both delicate spiced flavour and a moist fillet of fish. All three starters were delicious, fragrant, and complemented each other, proving early on that night that these guys really do know their flavours. We enjoyed an accompanying white wine with this course, which despite being sweeter than I would normally choose complimented the food perfectly. A very good start! As the main courses arrived at the table it was hard to stop myself diving in without hesitation, and the smells wafting up from the individual dishes were almost too much for my brain to compute. Sharing this selection between 4, our hosts pointed out each dish and explained more on their origins. One kind chap even pointed out where certain dishes come from on a large wall map. First up we were introduced to the Madras Kothu Pepper Chicken – the South Indian version of Tawa Chicken – and the Fish Moilee. Talapia fillets are simmered in this rich coconut-based curry, which provides the most melt in the mouth texture and a creamy sauce. Despite being complete opposites in flavours, both dishes were rich, flavoursome and ultimately tasted insanely good smothered on the naan bread we used to mop up the sauces. 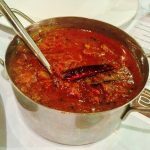 The Exotic Veg Stew was an interesting addition and offered a more robust texture to the meal, however, my personal favourite was the Lamb Chettinadu which – and I’m not exaggerating here – was one of the best things I have ever eaten. Rich, decadent and boasting multi-level flavours, the tender lamb and mustard seed kick blew my mind. Perfectly balanced and with the exact hum of spice I want from a curry (think madras heat level) the thick sauce and juicy meat were just fabulous. I could eat this every day of my life.. which I’m sure our host enjoyed hearing for the 20th time by 10pm. Plus the colour of it exactly matched my hair so (after sampling a v.large glass of the accompanying Australian red wine we had with this course) I was even more enthusiastic about it being a regular part of my life. The mains were served with a selection of sides and sundries including fluffy Lemon Rice and Steamed Idli. Finally, we were given the choice of 4 desserts to sample and as a table decided to get one of everything.Full disclosure here, I’m really not one of Indian puddings as a rule. I find them samey, bland, overly sweet and usually a bit underwhelming (I’d honestly rather have more popadoms) so I wasn’t holding out much hope for anything spectacular, especially after such glorious main dishes. Thankfully I can say on the whole I was pleasantly surprised by the desserts, particularly enjoying the Bibinka, a Goan layered cake pud. The cake itself was quite bland but the rose petal ice cream and matching sauce was something else. The Mango Panacotta was presented in a flute and although tangy and tasty I found the texture wasn’t quite right as a panacotta, as it was gloopy. As a dessert generally though it had clean and sharp flavours and was a colourful and light way to end a spicy meal. 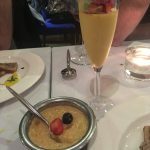 We weren’t fans of the rice pudding style dessert – it was a lot like porridge which my other half thinks Satan himself invented – but the table next to us was raving about it, so it’s clearly more a matter of personal taste. All in all the night of food and celebrations at Umami was fabulous, and the staff worked tirelessly to ensure we all had a wonderful evening. From the management to the waiting staff, everyone was professional, polite, patient and engaging; they are a credit to this resturant. 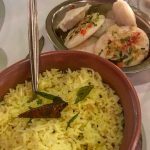 If you like the sound of the above, Umami Indian Kitchen is running several Regional Culinary Events (13th July & 24th August) if you fancy trying some new and exciting dishes like these. I honestly can’t wait to go back – here’s to the next 2 years, Umami. 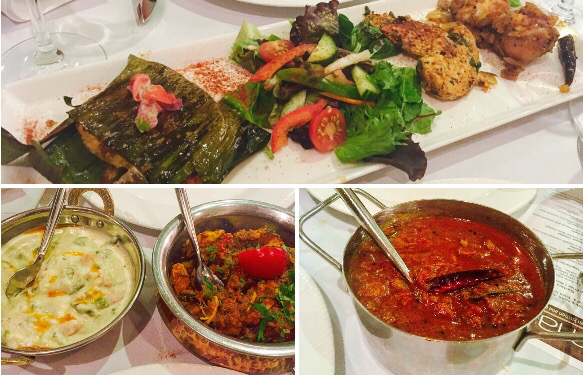 Have you eaten at Umami Indian Kitchen? What did you think? Let me know in the comments.